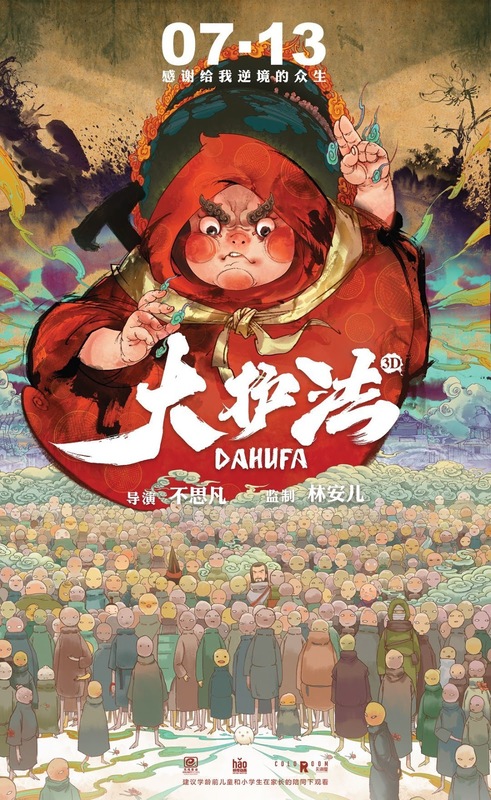 DA HU FA is an independently animated film from China that got under the skin of the Chinese authorities. They didn’t like the independent part or the fact that it self-rated as PG 13 and the plot about challenging a brutal regime. 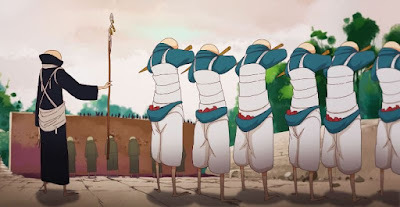 That Fantasia found it and brought it to North America is a huge coup for them. The film follow the title character who is a roly-poly fighting machine. He is the protector of the kingdom and as the film opens he is trying to track down a missing prince. Stumbling into a town where a giant grey peanut hangs in the air, he ends up in the middle of a weird conspiracy where a false god rules and people are executed if a fungus begins to grow on them. 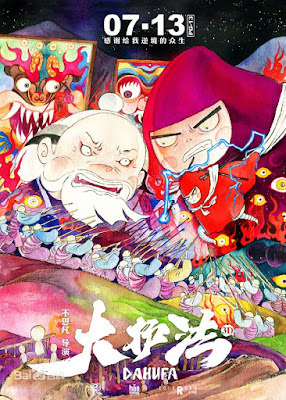 A unique cinematic vision DA HU FA requires you pay attention and just go with it. It will all be explained along the way. Okay perhaps it’s not all explained but enough that we can get a handle on it. Done in a style that often looks like watercolors the film is absolutely gorgeous. It also sports character designs that are unlike anything else out there. It’s this unique look that has caused some people not to like it, but I’m guessing they were expecting a typical Disney-esque animated tale. A decidedly adult film, people die, and when they die blood flows. It’s not bad, much of it is green, but it’s not something some parents are going to want their little ones to see. Then again there is a complexity to the story the young ones probably aren’t going to get. Babbling aside I love this film. I’m trying not to say too much about it because one of the delights of the film was not knowing where it was going or knowing how it was going to be resolved. While I had a basic idea what the film was I didn’t have details and I think I was so much better for it because the complete lack of expectations. This is one of the great finds of the year. In the almost 24 hours since I saw it the film has grown in stature the more I think about it. It is a film that went from being one I wanted to see again to one I must see again. I need to go to the special place, this unique world in order to recharge my batteries and remind me that there are people out there making films that are singular works cinematic art. DA HU FA plays again at Fantasia on July 24th. For more information and tickets go here.